Santa’s Village is Muskoka’s oldest and largest family-fun attraction. Nestled in Muskoka’s Enchanted Forest, halfway between the North Pole and the equator on the 45th parallel, it is Santa’s summer home of choice. The Village boasts three theme parks, a day camp, animals, and a family campground, where kids of all ages can visit Santa, and enjoy rides, games, and countless other family-friendly activities. Santa’s Village is in Bracebridge, Ontario, on the Muskoka River. The address is 1624 Golden Beach Road. Our phone number is (705) 645-2512. You can click here for directions. When is Santa’s Village open? Please visit our hours page for more information on our hours during the regular season. How old is Santa’s Village? Santa’s Village was built in 1955. Once again this year Santa’s Village will be introducing new rides and further improvements to our Food & Beverage offerings! Follow us on Facebook or join our Nice List to receive all the latest updates! Can I visit with Santa when I’m there? Of course! Santa’s Village is Santa’s summer home. You can visit his house, have a chat and take some photos. He and Mrs. Claus would love to see you! Do your rides have height restrictions? Yes! Just opt in to our email list at www.santasvillage.ca/welcome or like us on Facebook and you will qualify for promotions throughout the season. Can I buy a Season Pass? Our standard Season Pass and our NEW Gold Season Pass. Click HERE for more info on Season Pass perks and pricing. What type of entertainment do you have? Every summer, some of Canada’s best children’s entertainers, including Markus from Treehouse Television, Dan the Music Man, RONNO, Jam Sandwich, and more, perform on the Santa’s Village stage. For our complete summer lineup, visit click here. Strollers are available to rent on a first come, first served basis. They are $8.00 (single) and $10.00 (double) with a $10.00 refundable deposit. Do you have a rainy day policy? Yes. If it rains during your visit to Santa’s Village and it doesn’t clear within one hour, we will give you a rain check to come back another day. No questions asked. (Not applicable to Whispering Pines Campground sites or Sportsland tickets). Please note that rain checks are only valid for the season in which they are received. Yes, we do offer group rates. If you have at least 20 people in your group, you can take advantage of our various group packages that include park tickets, face painting, lunch, and more. Click here for details. Do you have any animals we can visit? Yes. We have deer, goats, llamas, chickens, peacocks, and more. They are all very friendly and love to be pet. Can I bring my pet to Santa’s Village? We have an outdoor area in Sportsland where your pet can be tied, but pets are not allowed in the Santa’s Village or Sportsland parks. If you’re looking for a kennel for your pet, you can call Mountain Spirit (705-645-1639) or Muskoka Spa for Pets (705-646-0023). What is Santa’s Whispering Pines Campground? Located right across the street from Santa’s Village on the Muskoka River, Santa’s Whispering Pines Campground is Muskoka Camping at its finest. In fact, it was voted Best Campground in Muskoka in 2011, 2012 & 2013! Click here for more information. Is admission to the park included in my camping package? You can include admission to the park in your camping package or not – it’s completely up to you. Are there any kids’ and / or family activities at Santa’s Whispering Pines Campground? Yes, there are lots of fun family activities at Santa’s Whispering Pines Campground. These include crafting, movies, fishing, bonfires, scavenger hunts, and hiking. Your family can even have dinner with Santa! Click here for a list of our summer programs. Do you have any cabins or yurts? Yes. In addition to sites for your tents and trailers, we also have cabins and yurts available to rent. Click here for more details. What does a cabin / yurt include? Do the cabins / yurts include a BBQ? What do I need to bring if I’ve booked a cabin / yurt? You will need to bring everything you would take camping except the tent and air mattresses, including something to cook on and/or a grill for the fire pit. Do your campsites have hydro and water connections? We offer both serviced (15 and 30 amp) and unserviced sites. We’re happy to help you find the best solution to make your family’s stay as comfortable and memorable as possible. Is there space for my trailer on-site? Yes. We offer spaces for trailers and tents. Is there boat access to the big lakes in Muskoka from the campground? Yes, there is access to the big lakes via the Muskoka River. We allow pets on site but require that they be leashed at all times. Owners must clean up after them and ensure that barking is kept to a minimum. Can I bring them over to Santa’s Village / Sportsland? Do you offer any specials at Santa’s Whispering Pines Campground? Yes. We have package specials throughout the summer and fall. Click here for more details. Do you have any special offers at Sportsland? There is no admission at Sportsland – you can pay-as-you-play. After 7:30 p.m. on weeknights, Sportsland attractions require half the number of tickets. Is there extra admission for Sportsland? No. Admission to Sportsland is free. You can pay-as-you-play. Are there age and/or height restrictions on the rides in Sportsland? To drive a go kart, you must be at least 12 years old and at least 54 inches tall. To drive a double go kart you must be at least 16 years old (passengers can be under 12 years old). What types of rides and activities will I find in Sportsland? Sportsland offers rides for older kids (ages 11 and up). The rides include go karts, mini golf, batting cages, laser tag, a bungee trampoline, rock climbing wall and an arcade. Sportsland is open weekends only as of May 16 and open daily June 13th until October 10th. Hours sometimes vary. Please visit www.santasvillage.ca/hours for more information. Sportsland is a part of Santa’s Village that offers rides and activities for older kids (ages 11 and older). Click HERE for details. Since you choose your own adventure, activities can be anywhere from 15 minutes long to a whole day. We do ask that you arrive 15 minutes before your scheduled start time for the Aerial Course or Zip Tour. You will be required to participate in an orientation session which is a part of your activity. Comfortable athletic clothing suitable for the temperatures that day, and close-toed shoes like running or hiking shoes. No sandals or flip-flops. Long hair must be tied back at all times. Yes, reservations are strongly recommended. Although we do accept walk ups when our schedule allows, we have a limited number of harnesses and helmets and need to ensure we have equipment and guides for all participants. Do I bring the waiver with me or can I complete one on-site? 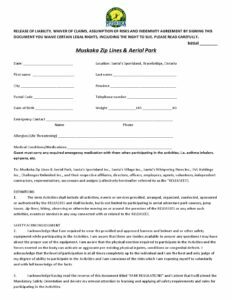 You can either download and print the waiver from this website and fill it out before arriving, or obtain one once you arrive at the park. The Waiver will inform you of the potential physical risks associated with the activities. Anyone under the age of 18 must have their waiver signed by a parent or guardian before they will be permitted to start their activity. These aerial adventures operate rain or shine. The only time we won’t go is if there is thunder and lightning, or really high winds. When this happens we close our courses until the bad weather has passed. Courses are closed for 30 minutes after the last thunder clap. Should your adventure be cancelled due to lightning or high winds, we will gladly re-schedule the remainder of your adventure for another date. There is no minimum age requirement, however, children must meet the minimum height and weight safety requirements (see below). Children 10 years and under must also be accompanied by an adult throughout the activity. Anyone under the age of 18 must have their waiver signed by a parent or guardian before they will be permitted to start their activity. Aerial Adventure Course: Guests need to demonstrate the ability to “self-rescue” during the orientation process. A self-rescue is when you hang freely from the safety line and pull yourself back up onto the platform. The inability to be able to self-rescue will mean the guest will not be able to proceed with the climb (a full refund would be provided). A self-rescue is when you hang freely from the safety line and pull yourself back up onto the platform. Guests will need to demonstrate the ability to self-rescue during the orientation process. The inability to be able to self-rescue will mean the guest will not be able to proceed with the climb and a full refund will be given. Muskoka Zip Lines & Aerial Park is located beside Santa’s Village theme park. You may enter through the Sportsland entrance, just past the Santa’s Village Gatehouse. See our location page for a map and directions. There is a picnic area in Sportsland where you can sit down and eat your own food. Coolers are not permitted in the Santa’s Village park. I am not into camping… where else can I stay nearby? There are also a number of other motels and resorts to accommodate you. Contact Muskoka Tourism at 1-800-267-9700 or The Bracebridge Chamber of Commerce at (705) 645-8121. Both of these agencies can help you with accommodation and other things to see and do while you are in Muskoka. I have a child with a disability. Can you provide him / her with special accommodations? We strive to make everyone feel welcome at Santa’s Village. If your child needs special accommodations during your visit, please visit Guest Services, located in the Gate House, and we will be happy to help you. Are your washrooms wheelchair accessible? Yes, our washrooms are wheelchair accessible. Are any of your rides wheelchair accessible? Unfortunately, most of our rides are not wheelchair accessible. However, there are lots of other fun things to see and do at Santa’s Village for people of all abilities. What is your policy on smoking in the Park? Santa’s Village, Sportsland and the Muskoka Ziplines & Aerial Park are smoke free areas. Guests are to use the designated smoking areas only. Cannabis smoking is strictly prohibited anywhere on the property. Violators will be asked to leave the property without a refund.